Let’s face it, it can stressful selling our handmade pieces in a retail setting. We inject a little bit of ourselves into each item – and that can mean it’s daunting to explain to customers why what we’ve made is so amazing and special when we have such a personal connection with it. Sometimes the act of talking about yourself and singing your own praises just isn’t part of your personality. That’s totally OK! You are unique as the products you make and you need to do what works for you. Some creatives turn to another type of selling to get their goods out there: wholesaling it to a retail space so they can be the ones to sing your praises from the rooftops and you can get on to making more amazing products. I am always asked by crafter friends and colleagues about my perspective on buying handmade items after owning my own bricks and mortar store which specialised in artisan wares. How do I approach a shop if I want to sell my products wholesale to them? What will that shop expect from me? What is the usual mark-up the shop will put on my prices? Do I need to supply anything other than just the products? I have some pretty standard answers these days, but often the replies are particular to the type of person you are or the products you make. The best possible way to approach a shop is softly. Don’t bring your suitcase of wares into their store like a travelling salesman – that’s always been my pet peeve! Scope out any potential stockists and visit the store either in person or online to see if it’s a good fit. If you want to just mention you make something fabulous, that’s great; then take my card and email me your catalogue, I can’t wait to see it! The shop expects you to be professional above all else. Provide a catalogue which is easy to read and with clear images and a simple way to order. Make sure you can give an invoice that fits with the needs of the tax regulations in your country. You will need to be able to fill their orders quickly and within an agreed time-frame. How long does it take you to make 20 items? How about 100? Make sure you’re not short-changing yourself on price. Working your fingers to the bone for minimum wage probably isn’t what you dreamed of when you started your own business. Make sure you’ve figured out your pricing so you can pay yourself properly for your time – even if all you do is sell wholesale. Most shops will need a minimum 100% mark-up on your wholesale price. This is the answer which is usually hardest to swallow for a creative. Why do they need to mark-up 100%? That sounds ludicrous and it feels weird that they will be making more profit on your item that you do. One of the great things about a home-based business is that you have very few overheads compared to a retail business. stationery and other incidentals which keep a shop running etc. So the retailer needs to make enough money in their mark-up to pay for all these things and still pay themselves a wage. If I could make more than the 100% mark-up in my retail store, it went a long way to making my business viable and eventually profitable. You need to supply exactly what you would send to a customer. This includes all the packaging and business cards to go along with purchases. Always check with the retailer if your packaging is particularly large and isn’t for display with your items as they will need to find a place to store it. Make sure you provide a copy of the invoice when you fill the order and follow up every couple of months to ensure the retailer is happy and to let them know about new products. 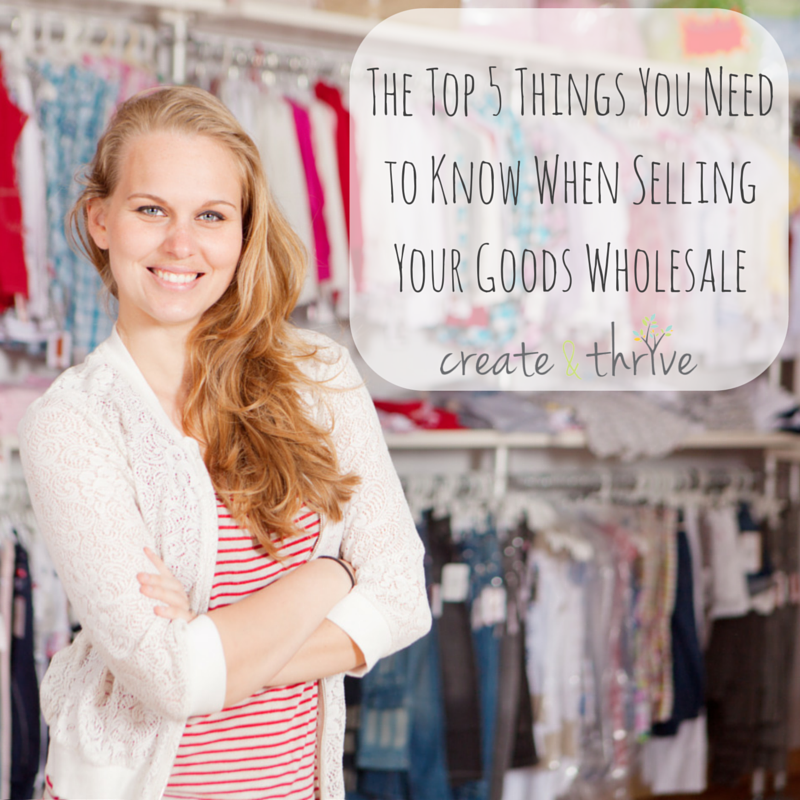 Of course, these are just a few of the questions that makers have when they branch out into selling wholesale – there are hundreds more! 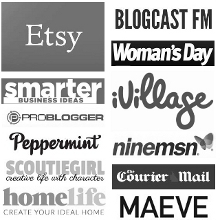 Want to sell to retail shops, boutiques, and gallery shops, but don’t know where to start? Join us for Wholesale Know-How. This eCourse will take you – step-by-step – through everything you need to know and do to get your work into retail spaces.